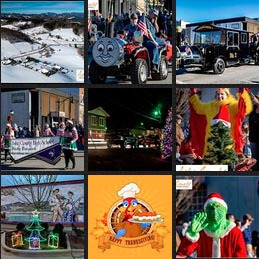 Boondocks Brewing is joining with many of the businesses in town to provide a fun day of costumes and games throughout our cool town of West Jefferson! Grand Prizes for best costume worn during the Poker Walk and for best hand of 5 Card Stud. Registration: $25 for Poker Walk & After Party or $15 for the After Party only. 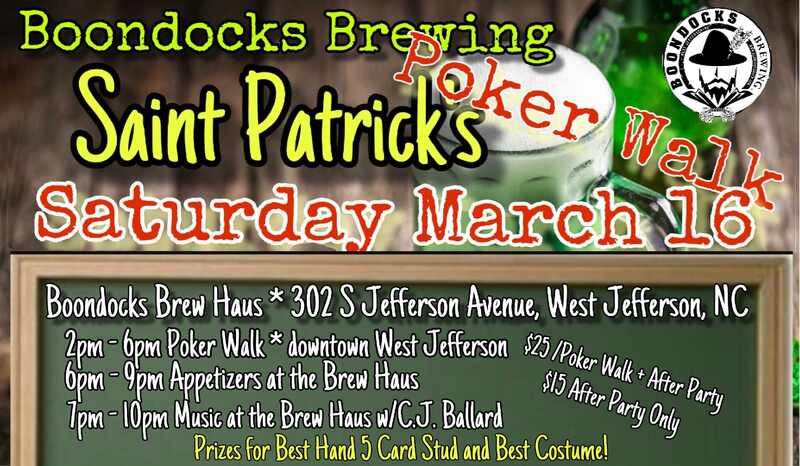 We will have appetizers and music at the Brew Haus following the Poker Walk. The Grand Prize will be a Party Bus tour to Copper Barrell Distillery on March 23rd.